I’m a big fan of the Buffy TV series based upon my current viewing of two seasons of the show. I was very excited to try this board game with my friends on Saturday and I was not disappointed. The game has pretty simple mechanics that generally translated the flavor and environment of the show. It is made for 1-6 players and we played with 4 on Saturday night. The idea of the game is to continually slay baddies, Monsters of the Week, and eventually the Big Bad in order to win the game. Along the way you will try to save Townies from Vampire and Demons who spawn all over Sunnydale. You will also become wounded throughout your time in Sunnydale by those same Vampires and Demons. Each Monster of the Week you slay will leave a clue token which can be collected to uncover a plot card related to the Big Bad. 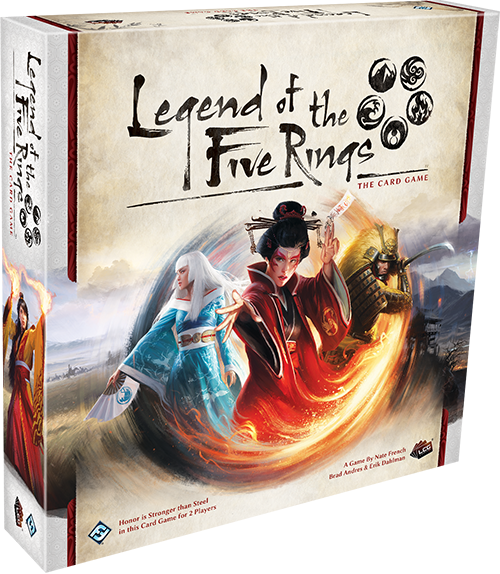 Once you have uncovered three plot cards the Big Bad will appear and you must slay it in order to win the game. 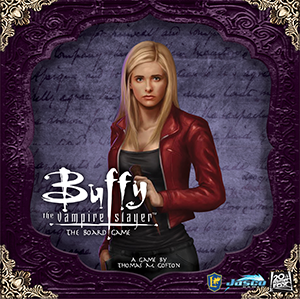 Playable characters include Buffy, Willow, Xander, Giles, Spike, and Angel and the Big Bads are characters like The Master and Caleb. I enjoyed the game overall. 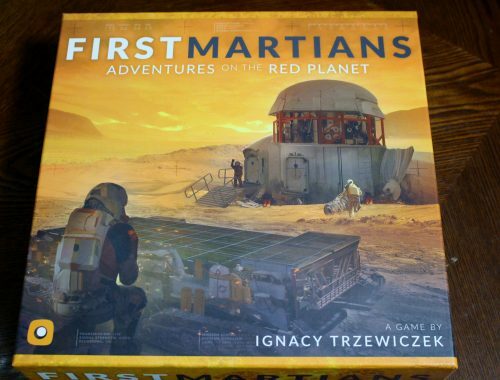 The rulebook could definitely be written a little more clearly and precisely but the game still plays well. 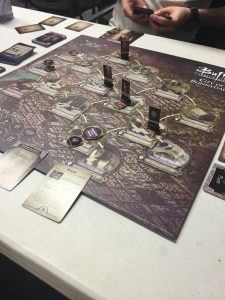 My friends and I picked Caleb as our first Big Bad, which is not the recommended Big Bad for the first time, and we did end up winning. Winning was not easy but neither did it seem insurmountable. I recommend checking out the game and playing it with some friends, whether you or they are Buffy fans or not. Being a Buffy fan adds more to the play experience but I would not say being a fan is necessary to enjoy the game. Travis has been gaming at The Village Geek since 2013. Gaming in various forms has been a constant in his life since he was young. Current favorite games include Overwatch (PC), the Pokemon TCG, and Magic: the Gathering. Travis is the Pokemon League Owner and Tournament Organizer at The Village Geek.